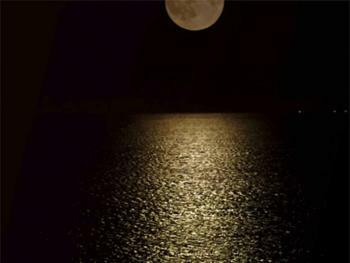 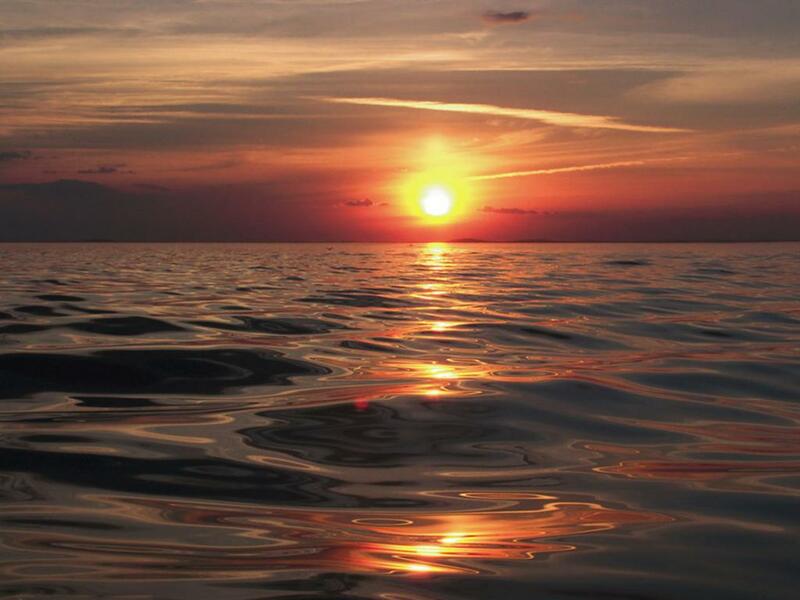 ﻿"Any closer to the water, you would have to be in a Boat." This partial ocean view room called Challenge, is located on the second floor. 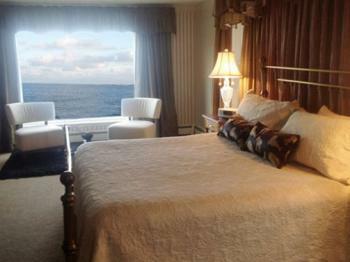 This room has a queen size bed, private bathroom with a jet tub, flat screen tv and a side view of the open ocean. Challenge shares a ocean view deck with a deluxe ocean view room. 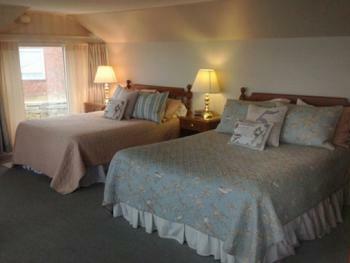 Donald McKay is a spacious room on the first floor with spectacular ocean views. This room has a king size bed, private bathroom with a jet tub, and a small flat screen tv. 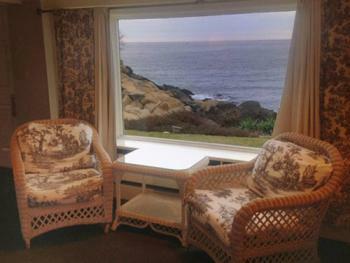 The room also has two comfortable chairs by a large picture window over looking the open ocean. 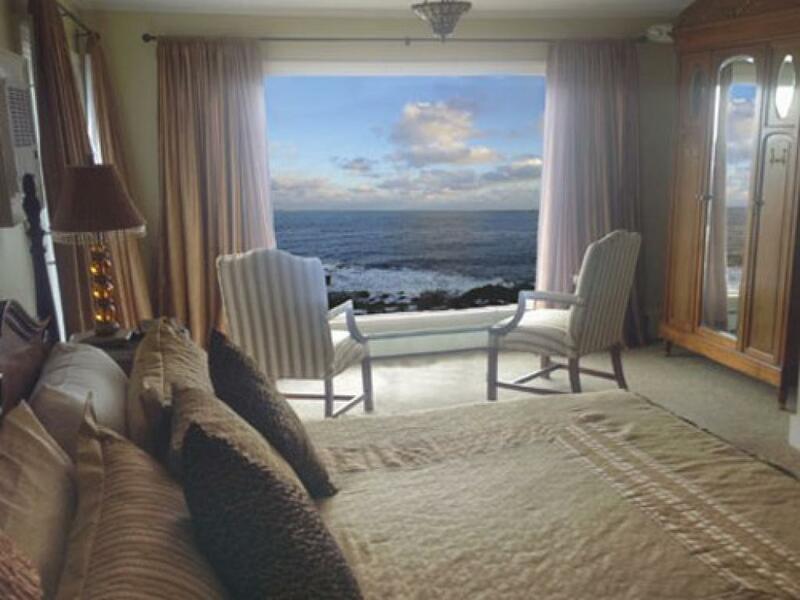 The ocean views from this room are spectacular. Neptunes Car is a spacious room located on the second floor. This room has a king size bed, private bathroom with a jet tub, and a flat screen tv. 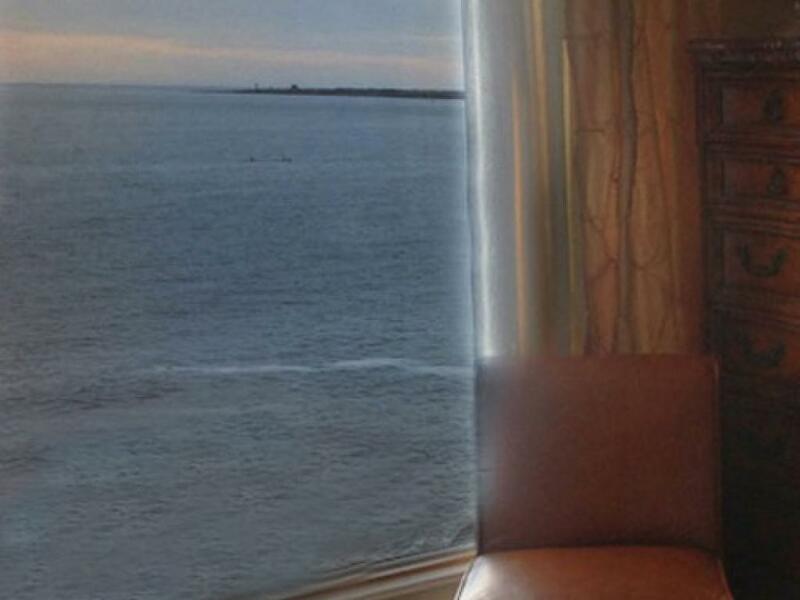 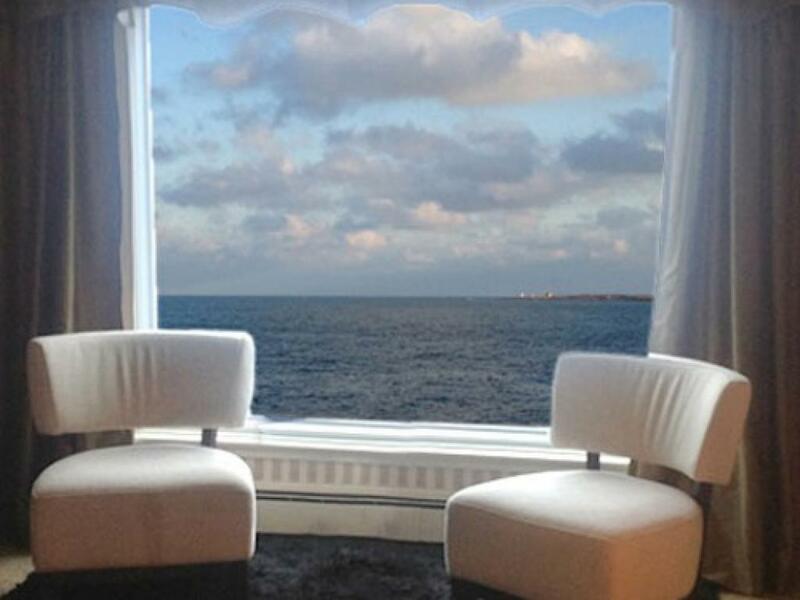 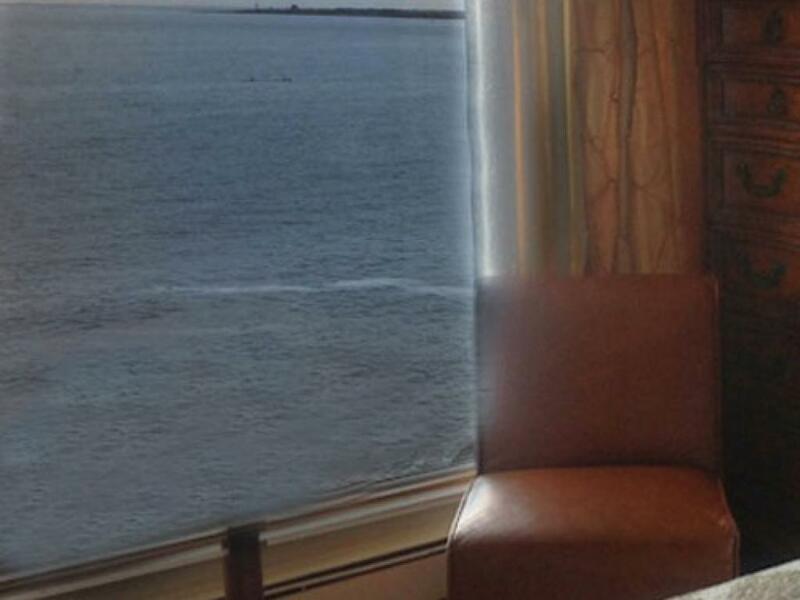 There are two chairs by a large picture window over looking the open ocean. This room also has a private deck over looking the open ocean. 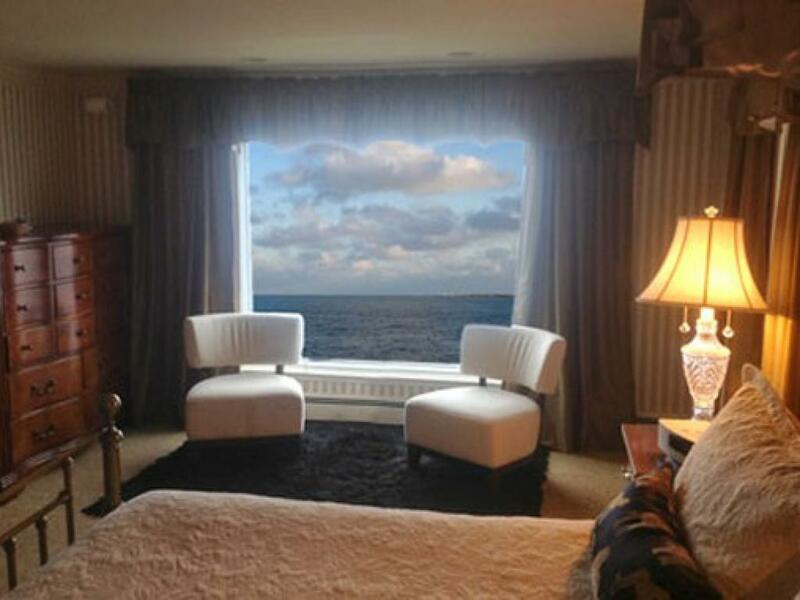 The ocean views from this room are incredible. 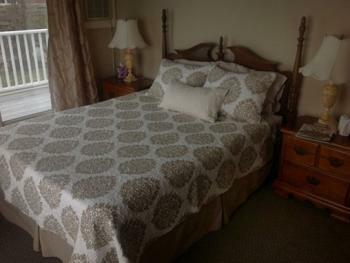 This room is one of our most desired room to stay in. 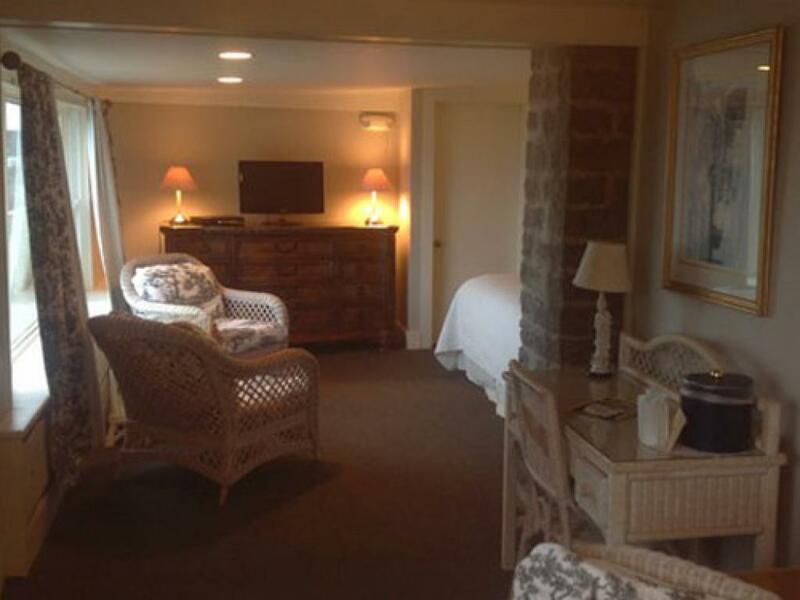 Oriental is a small room on the second floor. 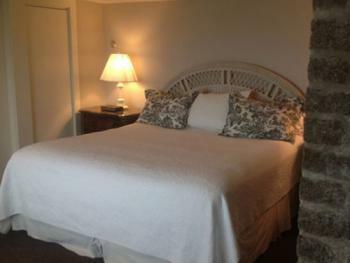 This room has a queen size bed, private bathroom with a jet tub, and a small flat screen tv. 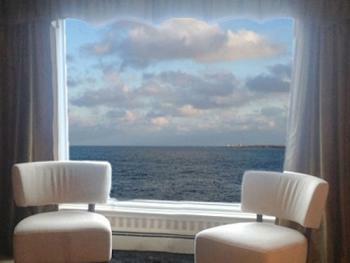 The room also offer two comfortable chairs that are next to a large picture window over looking the open ocean. 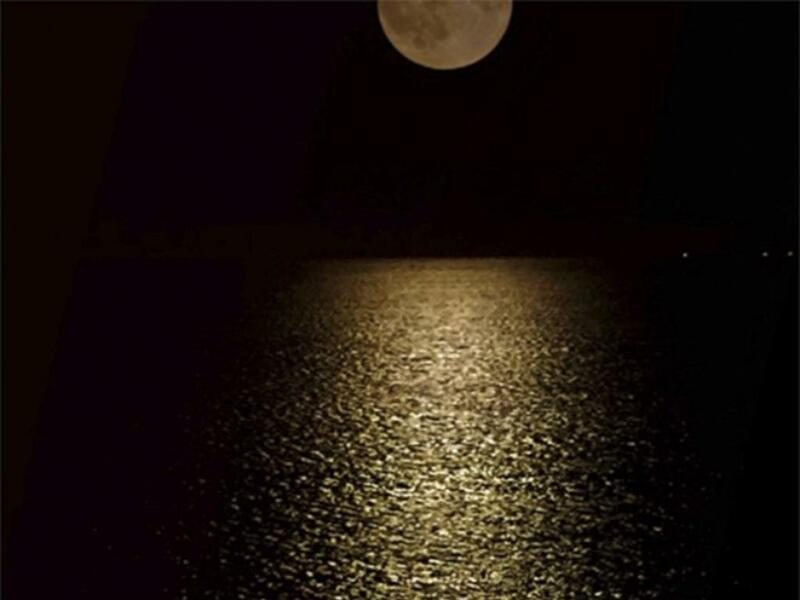 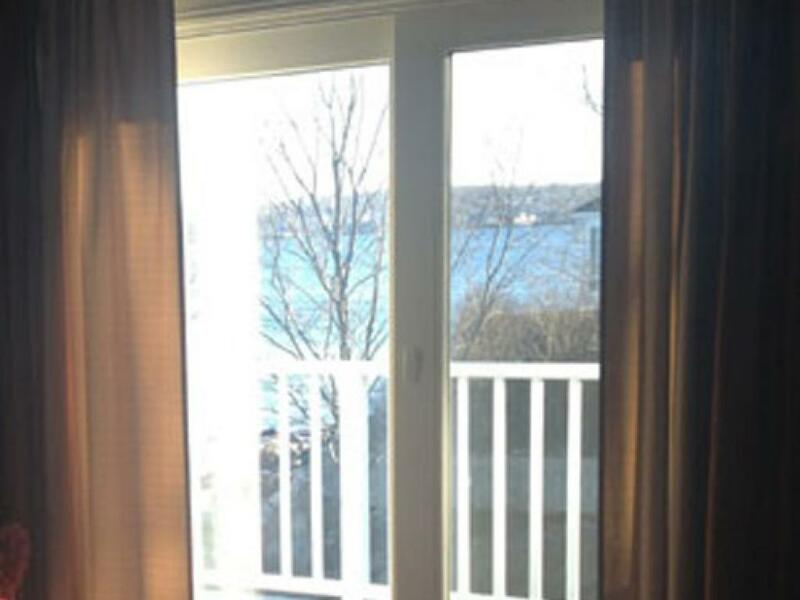 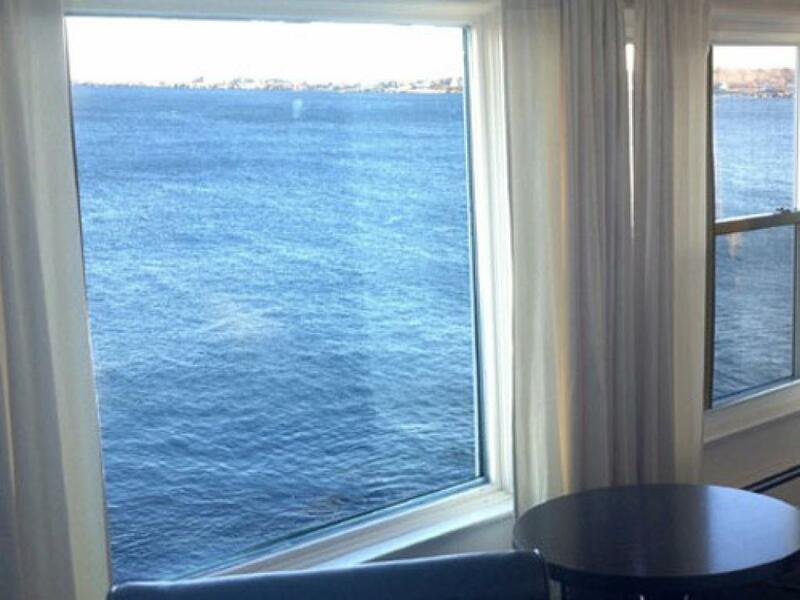 The views of the water from this window are absolutely incredible. 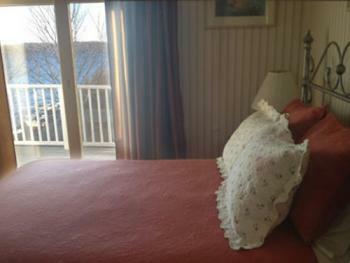 A shared oceanfront deck makes this room a very highly desired room to stay in. 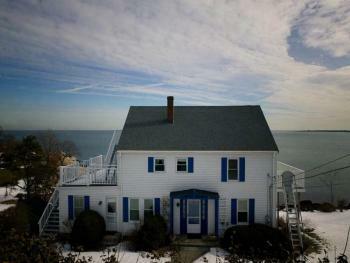 The Quarterdeck Inn By The Sea is a 6 guest room colonial building that is 60 miles north of Boston, situated on the rocky coastline of the town of Rockport. 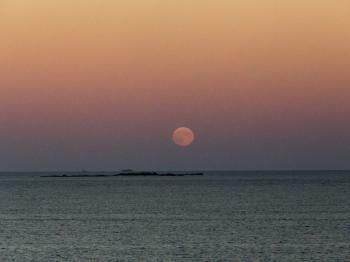 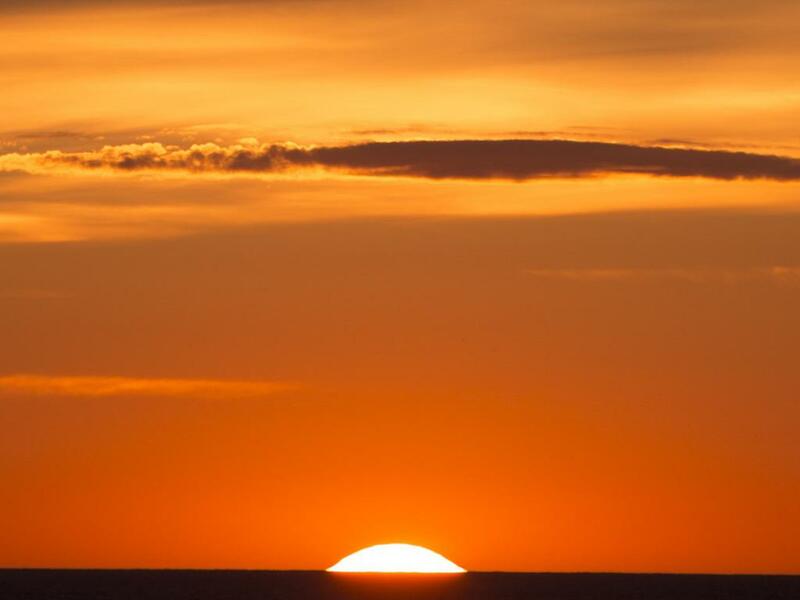 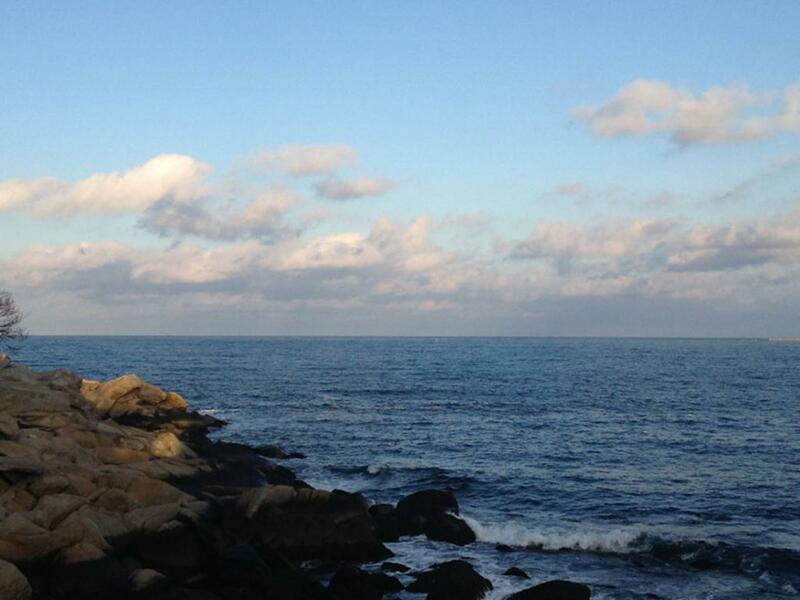 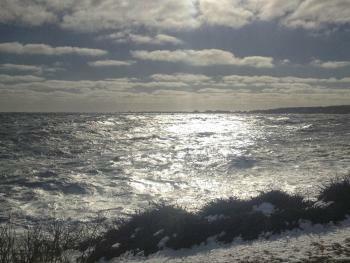 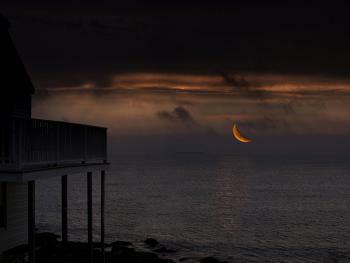 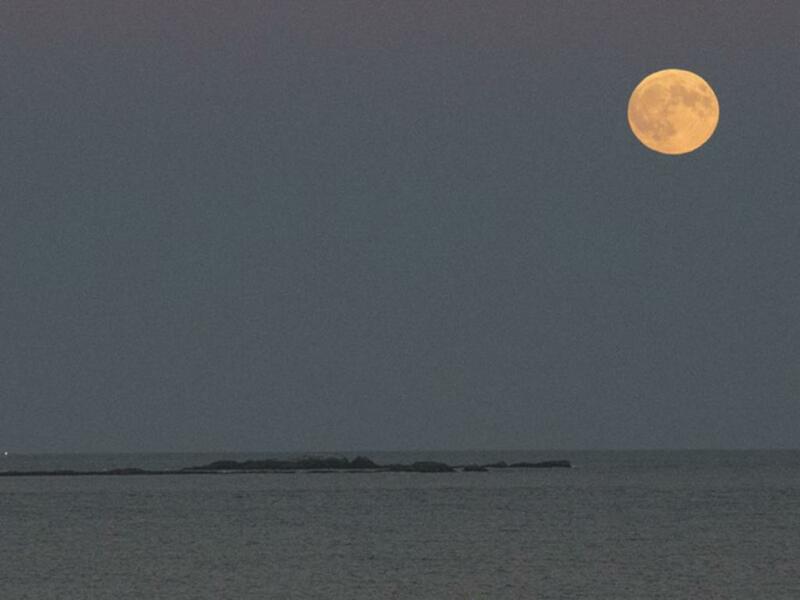 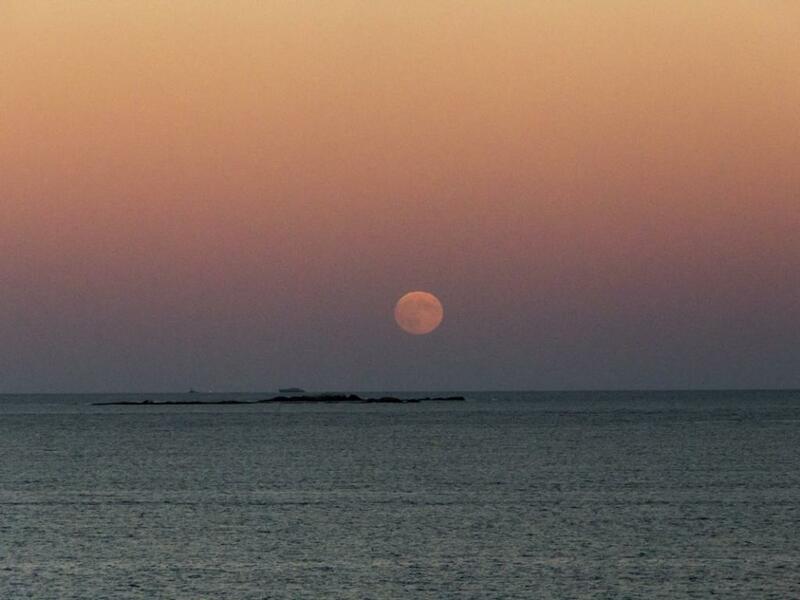 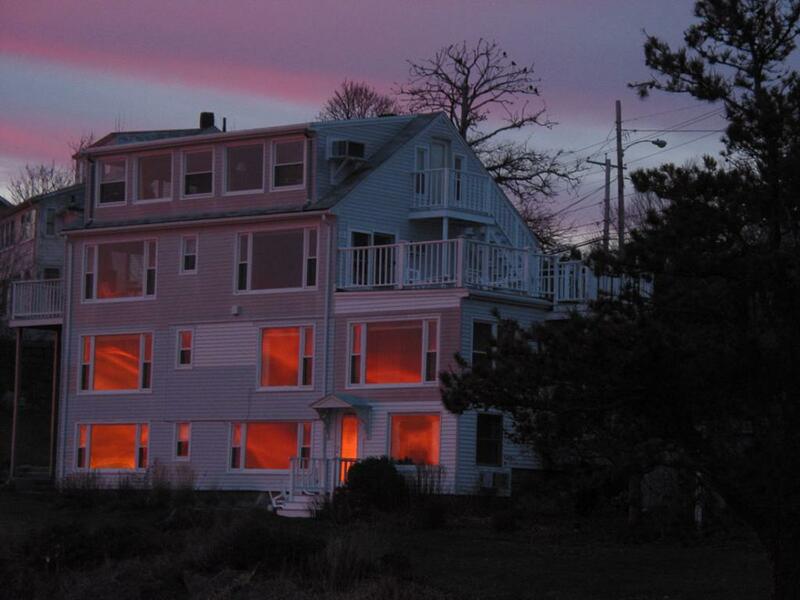 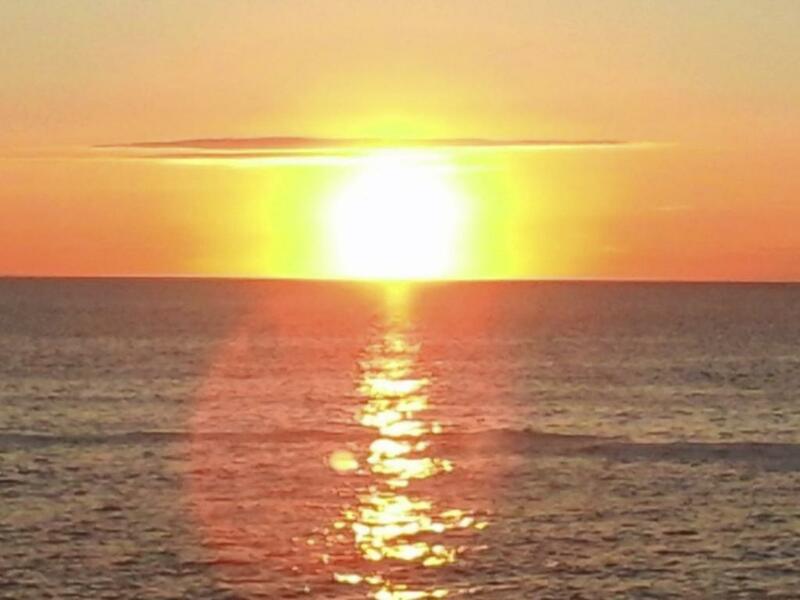 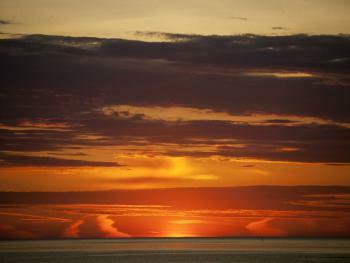 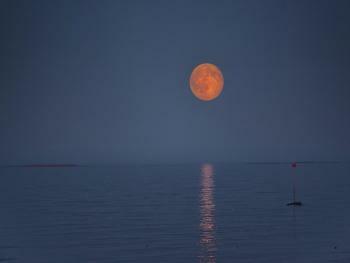 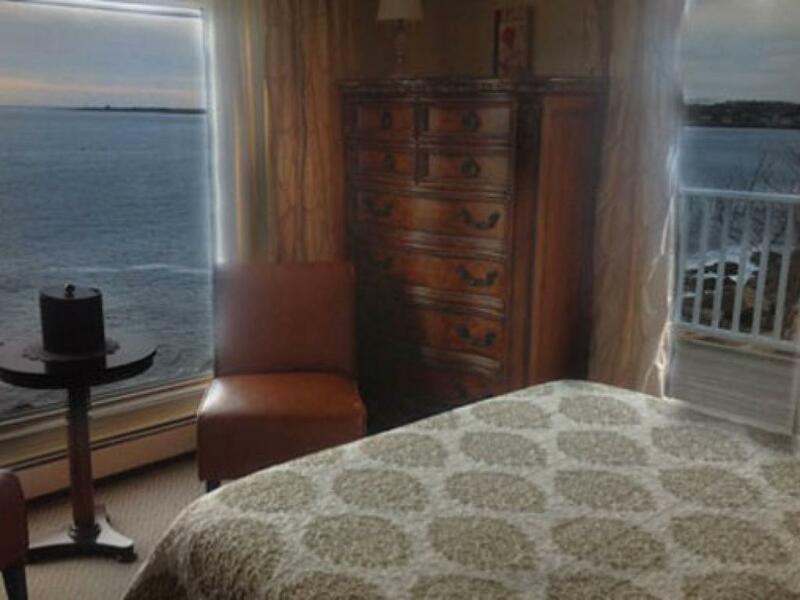 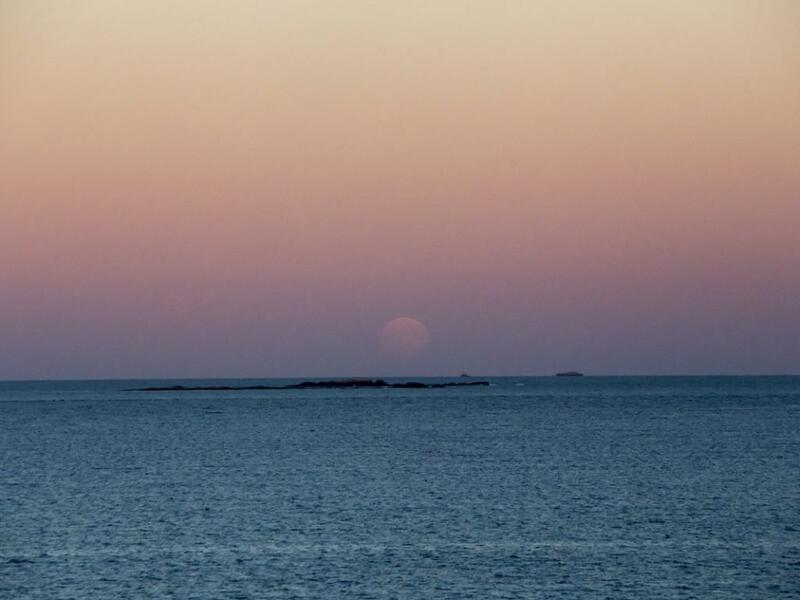 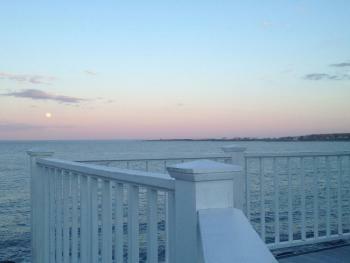 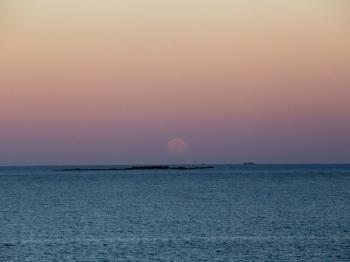 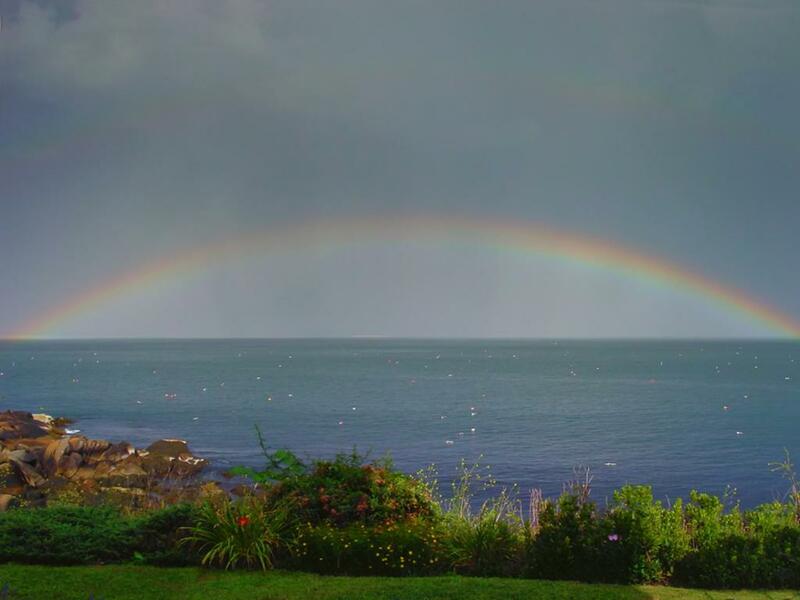 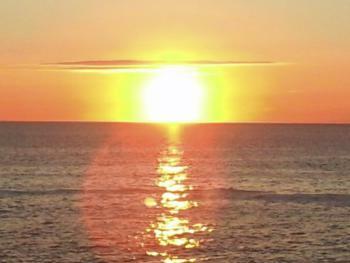 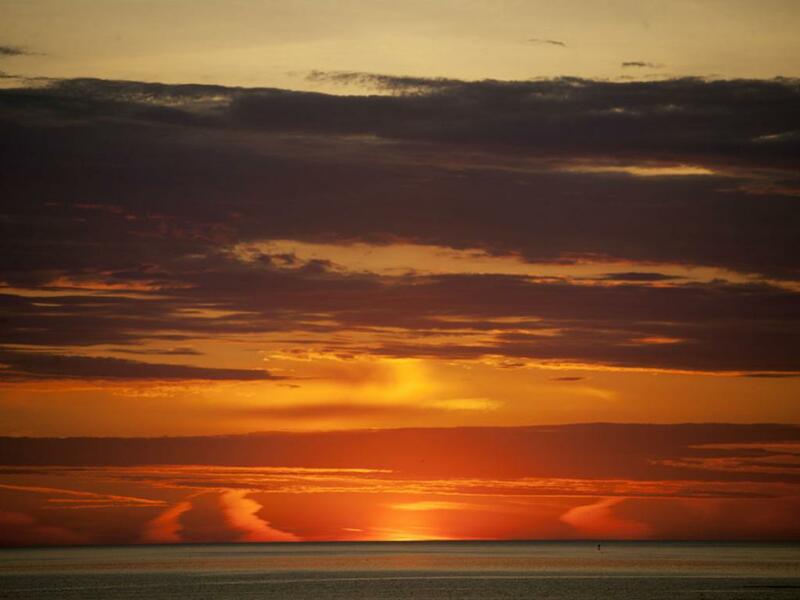 This inn provides some of the best views of the Atlantic Ocean, in all New England. 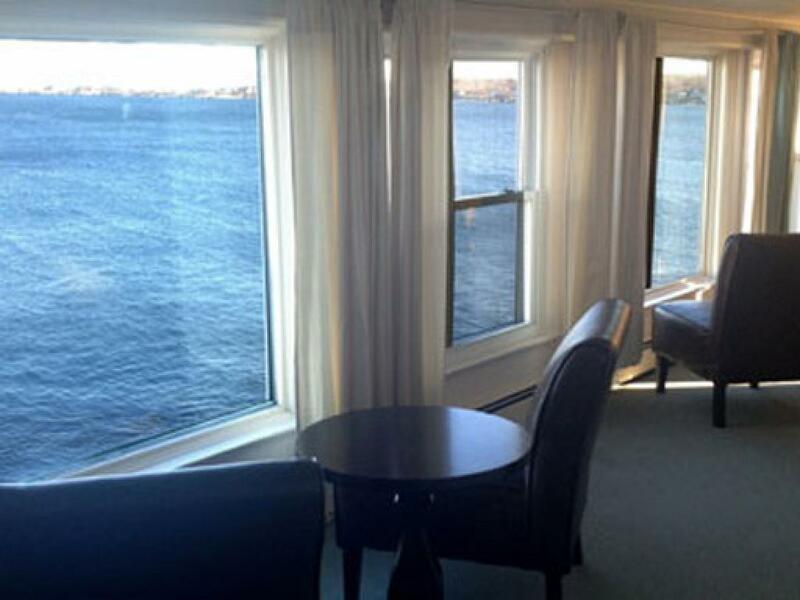 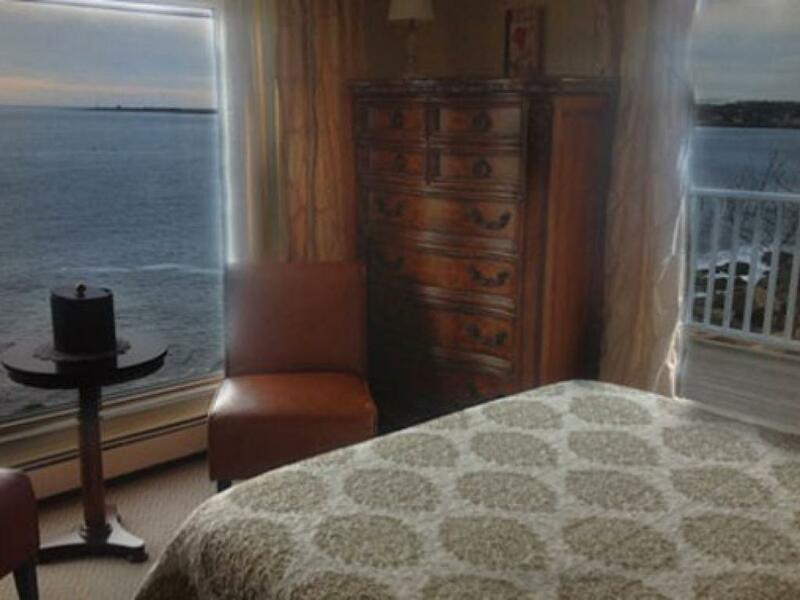 Most of the rooms have a sitting area next to large picture windows over looking the open ocean. 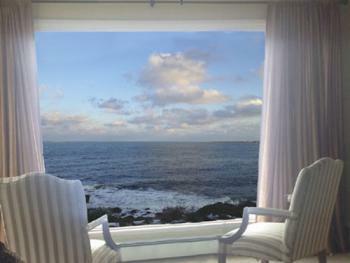 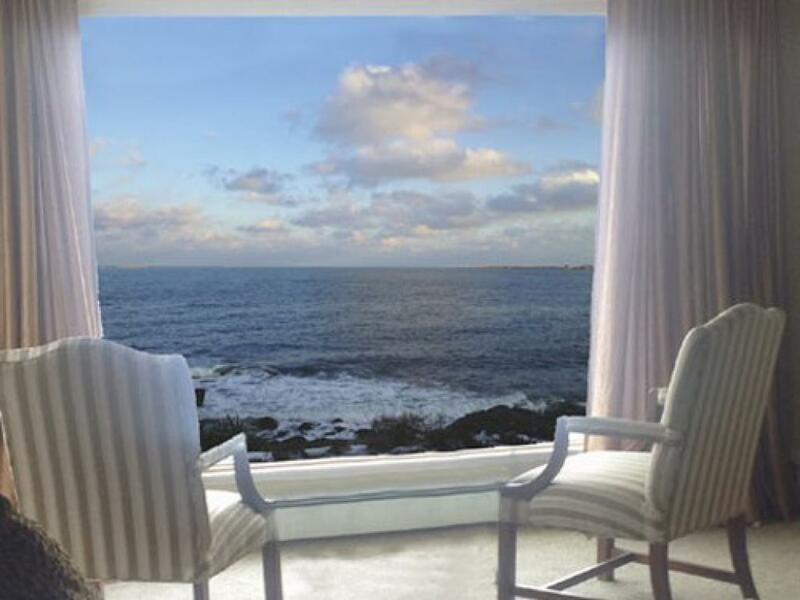 Viewing the ocean through the large picture windows of the guest rooms, leaves guests breathless. During the warmer season, tables and chairs are provided for the guests to sit and enjoy the oceanfront grounds and beautiful gardens that surround the Inn. A selection of our rooms provide ocean front decks, and jet tubs. 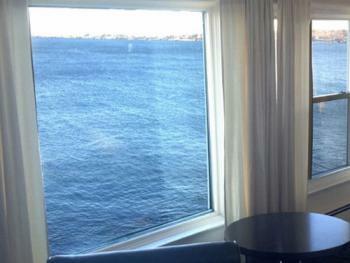 A 24 hour coffee station and a ice machine is provided for all our guests. 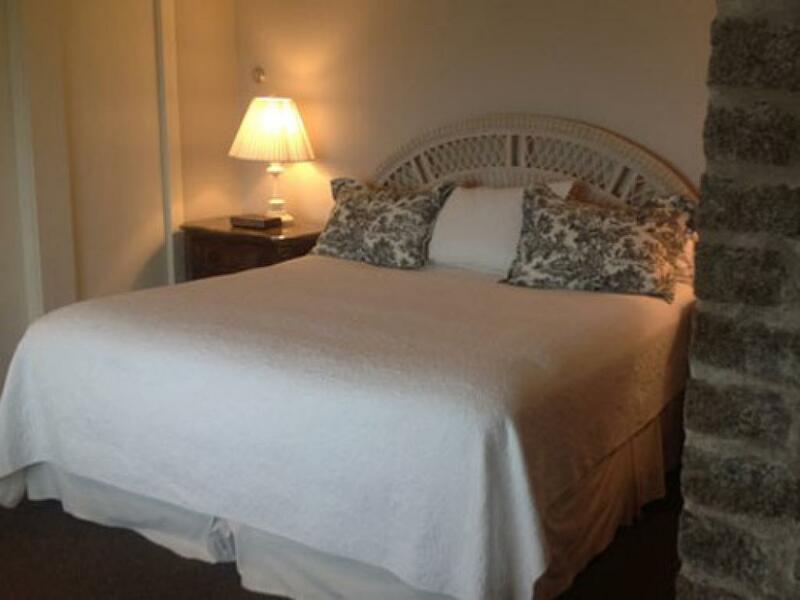 Free off street parking, free wireless internet, flat screen tvs, private bathrooms, free HBO are some of the items that are also provided at the Inn. 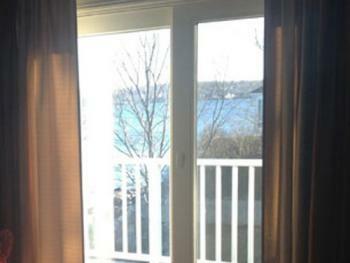 A limited number of refrigerators are available upon request. 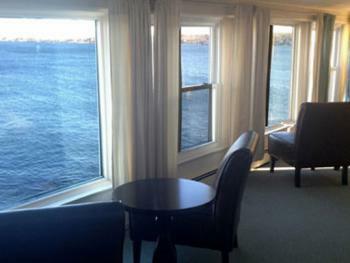 A Continental Breakfast is provided at The Rockport Inn and Suites. This facility is located 2 miles away from the Inn . 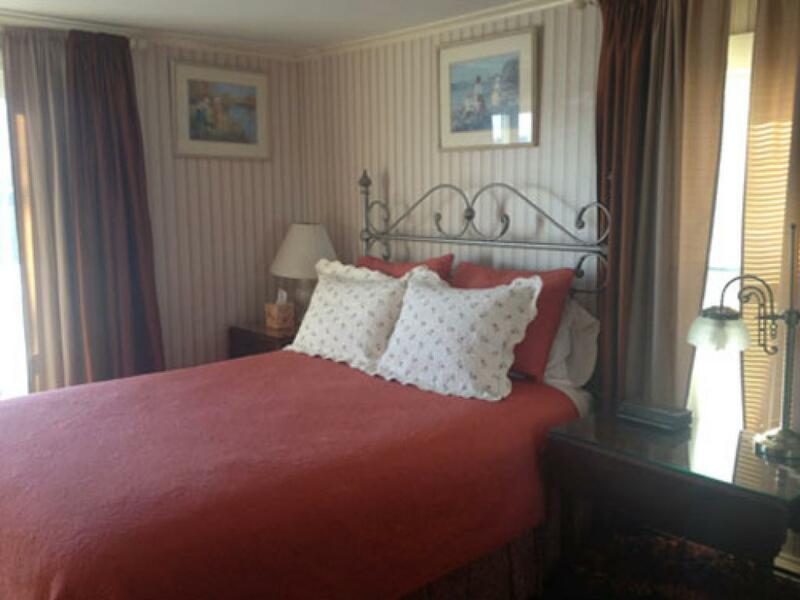 During the season, a Full Breakfast is available at the Emerson Inn for an additional charge. 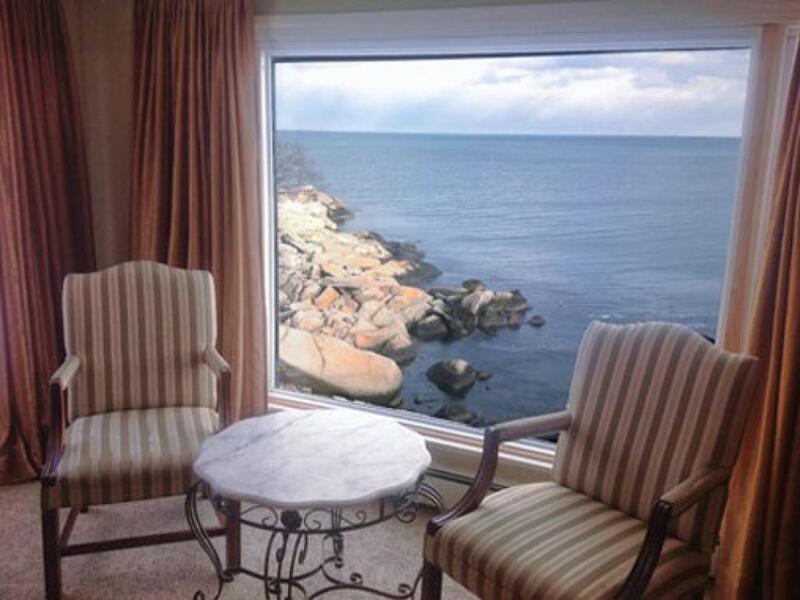 The Inn is located within walking distance to Rockport's Front and Back Beach, local restaurants, art galleries, and stores that are located in the down town area of Rockport. 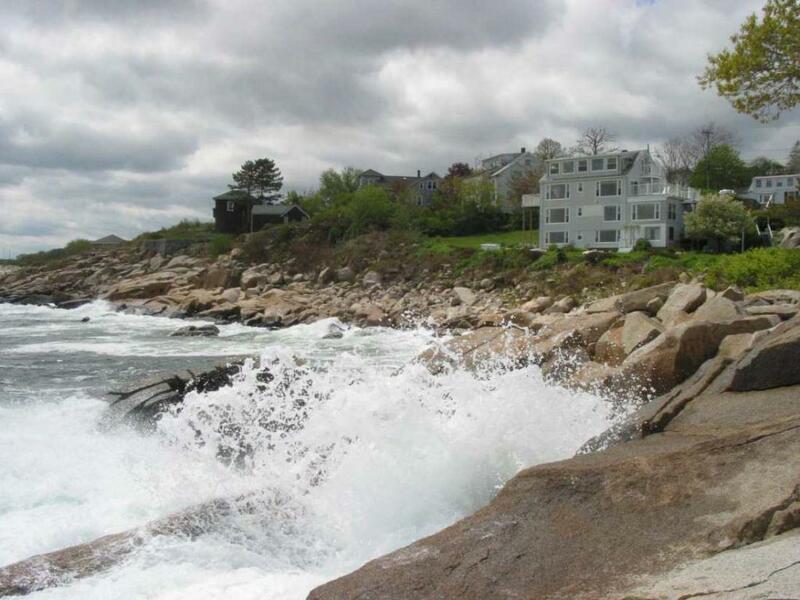 Bicycling, kayaking golfing sailing, fishing, whale watching are some of the activities that are provided in Rockport and the local areas. The Quarterdeck Inn is closely located to all of these available activities. 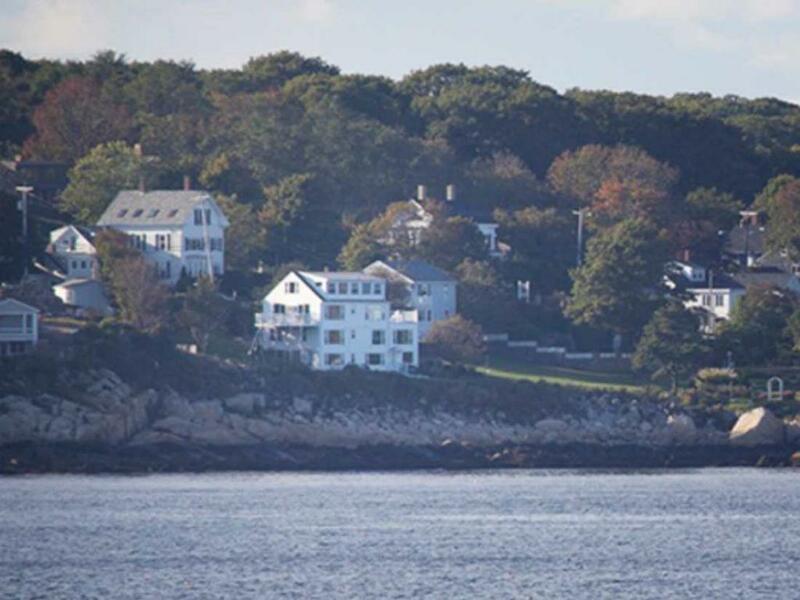 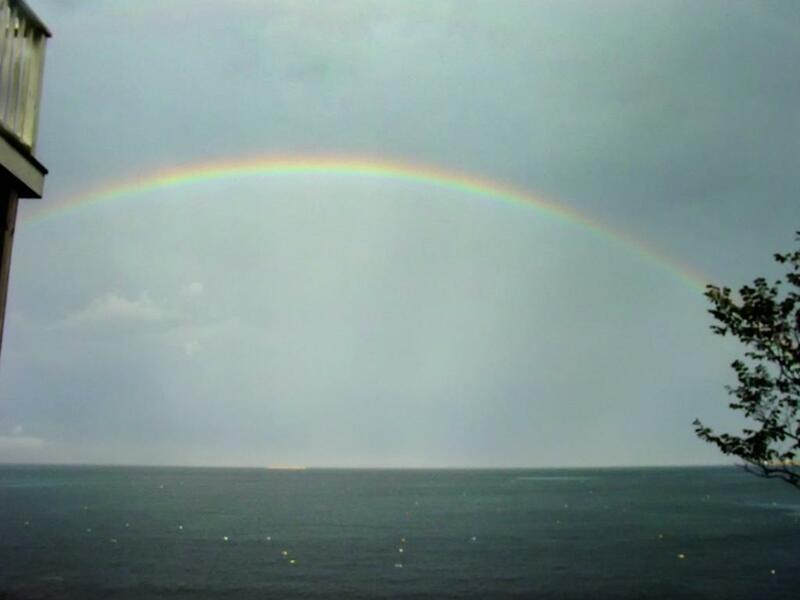 When you stay at The Quarterdeck Inn By The Sea, you will see that, Any Closer To The Ocean You would Have To Be Inn A Boat. 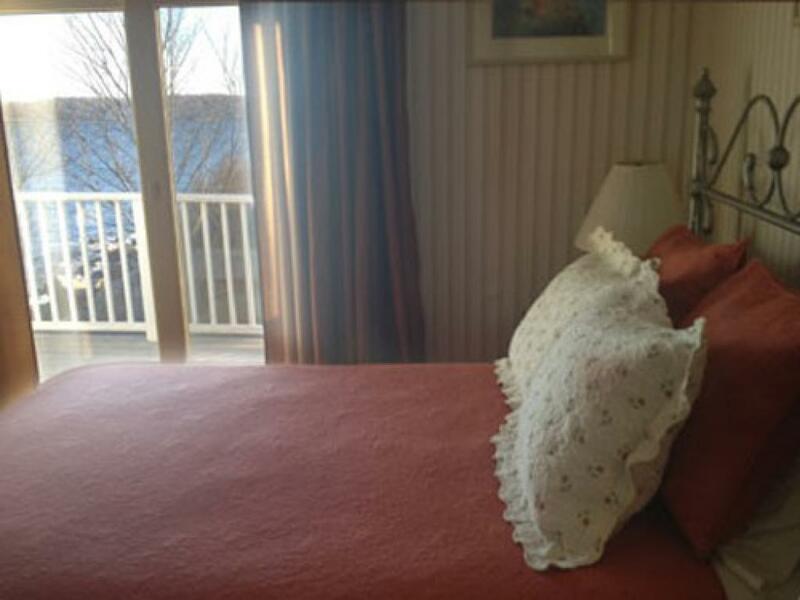 At The Quarterdeck Inn By The Sea, Oceanfront Doesn't Get Any Closer.